The mean hospital cost will be the first dependent variable studied and will be compared among patients receiving different anesthesia treatments using an ANOVA controlling for "Age_Group" and "Gender". A residual analysis will be conducted to determine whether or not assumptions of the model are being met and whether or not there are any extreme outliers. If extreme outliers are identified, these will be noted, deleted from the sample and a new ANOVA will be calculated with associated F tests. The variables "Age_Group" and "Gender" will be tested for significance and will be removed from the model if found insignificant. If model assumptions are found to be violated, an appropriate transformation will be conducted and a new ANOVA formed and tests for mean differences being the anesthesia treatments will be conducted [11,12]. Multiple comparison testing will be conducted if a difference in mean hospital cost is found among the various anesthesia drug treatments. Tukey-Kramer will be used since it is recommended when doing pairwise comparisons with unequal sample sizes . Mean length of stay is the second dependent variable studied. The mean length of stay will first be compared among patients receiving the different local anesthesia drugs while controlling for "Age_Group" and "Gender" through an ANOVA. A residual analysis will be conducted and extreme outliers will be noted and deleted. A transformation will be conducted, if indicated, and a new ANOVA formed. "Age_Group" and "Gender" will be deleted if found not to be significant. If mean length of stay is found to be significantly different among the different local anesthesia drugs, the Tukey-Kramer method of multiple testing will be used to find which anesthesia treatments are associated with the longest length of stay. ANOVA tables will also be constructed for determining significant differences in mean length of stay associated with the different anticoagulant treatments while controlling for "Age_Group" and "Gender". A test for a significant difference in mean length of stay between those patients receiving an antifibrinolytic and those patients not receiving one while again controlling for "Age_Group" and "Gender" will also be conducted. Patients readmitted within 30 days of their release are considered readmissions and hospitals lose insurance money on these patients. The proportions of readmissions between patients receiving the various local anesthesia drugs are compared using a Pearson's Chi-Square Test . Logistic regression will also be conducted with the dependent variable equal to 1 if the patient was readmitted early to the hospital and 0 otherwise. The indicator variables for the various anesthesia drugs will be placed in the model as well as "Age_Group" and "Gender". The Hosmer-Lemeshow Goodness-of-Fit test statistic  will be used to determine whether or not the logistic model is appropriate. Parameter estimates associated with the various indicators will be used to interpret which local anesthesia drug, if any, are associated with a higher probability of readmittance. A similar example as to this procedure is found in the low birth weight study, the prostate cancer study, and the ICU study given in Hosmer and Lemeshow (2000) . A Pearson's Chi-Square test will be conducted to determine if any of the various anticoagulants are associated with higher proportions of early readmissions. A Pearson's Chi-Square test will also be conducted to determine if any of the various anesthesia drugs are associated with higher proportions of early readmissions, and then a Pearson's Chi-Square test will be conducted to determine if there is a significant difference in early admissions between those patients receiving the antifibrinolytic drug treatment and those not receiving the antifibrinolytic. The odds of an early readmission for a patient using each of the anticoagulants compared to a baseline will be estimated using logistic regression with the indicator variables for the anticoagulants put in the model as well as indicator variables for age group and gender. Logistic regression will also be used to estimate the odds of a patient having an early readmission when receiving the antibrinolytic drug treatment compared with not receiving the antibrinolytic drug treatment. Age group and gender will be controlled for again in this model. A Chi-Square test will be conducted to determine if any of the various anesthesia drug treatments are associated with higher probabilities of blood transfusions. A Chi-square test will also be conducted to determine if any of the anticoagulant treatments are associated with higher probabilities of blood transfusions and then another test will be performed to determine whether or not if the patient receives an antibrinolytic is associated with a higher probability of a blood transfusion. Logistic regressions will also be conducted with the dependent variable being "1" if the patient received a blood transfusion and "0" if the patient did not receive a blood transfusion. "Age_Group" and "Gender" will be controlled for in the models. The indicator variables for the various anesthesia drug treatments will first be placed in the model and tested for significance. The anesthesia drug treatment indicators will be removed, and the anticoagulant indicator variables will be placed in the model and tested for significance. In the last step, the anesthesia drug treatment indicators will be removed and the indicator variable for the antibrinolytic drug treatment will be placed in the model and tested for significance. Odds of needing a blood transfusion will be compared in each group to the baseline treatment group. Three overall models will be formed. Ordinary least square regression will be used in the first model. The dependent variable in the first overall model is hospital cost. Indicator variables for the local anesthesia drugs, anticoagulants, and the antibrinolytic drug will be placed in the model along with "Age_Group" and "Gender". We would like to see if our findings are the same as when we considered anesthesia drugs by themselves, and then anticoagulants by themselves, and then the antibrinolytic drug by itself. 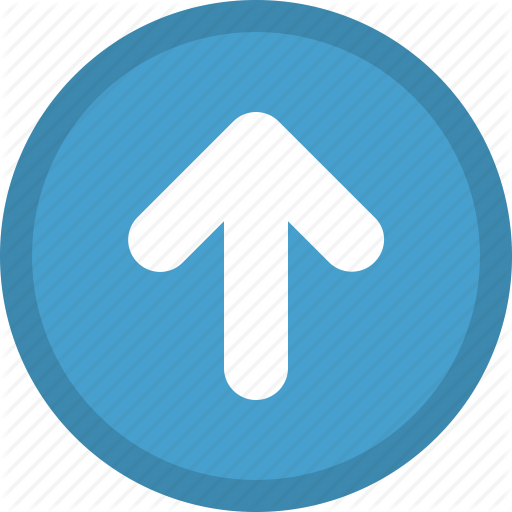 Stepwise and backwards regression will be used to help determine which variables have the most effect on hospital cost . The dependent variable in the second model is length of stay. The second model will also use ordinary least squares regression. Stepwise and backwards selection techniques will again be used to help determine which variables have the most impact on length of stay. The third model will employ logistic regression with the dependent variable being "1" if the patient was readmitted early and "0" if the patient was not readmitted early. The same set of independent variables as in the previous two models will be used. The fourth model will use logistic regression with the dependent variable being "1" if the patient received at least one blood transfusion and "0" if the patient did not receive a blood transfusion. This model will again use the same set of independent variables as mentioned before. The data for this study came from five different locations. A test will be conducted to determine if there is any association between the anesthesia drug used, anticoagulants used, and whether or not the antifibrinolytic drug treatment was used is associated with location. If there is an association with location, the location having the most diversity associated with a large sample size will be used for further testing of the drugs. Namely, based on the one location only, we will further test to see if there is a difference in cost among the various local anesthesia drugs, anticoagulants, and the antibrinolytic treatment. We will then test to see if there is a difference in hospital costs among the various drug categories, then length of stay, then differences in proportions of readmittance, and finally differences in proportions of blood transfusions for this one location. Two observations were found that were both more than 10 standard deviations above the mean hospital cost for the sample. These observations were both removed before calculating the ANOVA table and conducting tests. Treatment S2 was also not considered in the analysis since the number of observations (n=23) associated with this treatment was less than 30. Table 4 gives the sample size, mean and standard deviation for the hospital costs associated with each of the remaining anesthesia drug treatments once these two outliers are removed. A one-way ANOVA was conducted for the dependent variable hospital cost. Because of the possibility of unequal variances in hospital costs associated with the different local anesthesia drug treatments, a one-way ANOVA was also conducted on the transformed dependent variable of the natural logarithm of hospital cost. The result was similar in that the different anesthesia drug treatments were highly significantly associated with the hospital cost (p-value < 0.0001). The indicator variables for age group and gender were initially placed in both models, but taken out because they were insignificant (p-value > 0.10). Tukey's multiple comparison tests with alpha equal to 0.05 was performed using both the natural logarithm of hospital costs and hospital costs for the various local anesthesia drug treatments. The same significant results were found in all cases. The results of Tukey's multiple comparison in terms of actual hospital costs for the significant differences found are given in Table 5. Anesthesia drug treatments S3 and S2S3 had significantly higher costs than the other treatments. Before conducting an ANOVA, one observation was dropped which was associated with a patient that had a length of stay of 54 days. Observations were also dropped for the group of patients receiving treatment S2 because of a low number of observations, 23. The sample means and standard deviations of the length of stay based on the remaining observations are given in Table 6. An ANOVA was conducted on testing for significant differences in the mean length of stay associated with each of the local anesthesia drug treatments after controlling for age group and gender. Age group and gender were found to be significant. The different local anesthesia drug treatments were significantly associated with length of stay after controlling for age group and gender (p-value < 0.0001). Tukey's multiple comparison tests at alpha equal to 0.05 was conducted on the various local anesthesia drug treatments. Significant differences in treatments are given in Table 7. S2S3 was associated with the longest length of stay and S1S2 was associated with the shortest length of stay. A chi-square test was conducted to test for differences in proportions of early readmissions in patients given the various local anesthesia drug treatments. Observations associated with patients receiving drug treatment S0 (n=31) and S2 (n=23) were not included in this analysis, because the expected number of early readmissions from both groups was less than 1, perhaps invalidating the results from the chi-square test ( Daniel, 1990 ). The contingency table is given in Table 8. The chi-square test statistic associated with the table is 9.1067 with a corresponding p-value of 0.1049. Although this is not significant at alpha equal to 0.10, this indicates a possible mild significance that at least one treatment may be associated with a higher proportion of early readmissions. It is noted that treatment S2S3 had the highest percentage of readmissions for the sample at 6.04%. A logistic regression was also conducted with the dependent variable equal to 1 if there was an early readmission and 0 otherwise. Data associated with local anesthesia drug treatments S0, S1, and S2 was left out due to small sample size and/or no early readmissions. A stepwise selection process was conducted using the indicator variables for the remaining local anesthesia drug treatments included in the study, the gender indicator variable, and the age group indicator variable. The only two variables found to be significantly associated with early readmissions were the gender indicator variable and the indicator variable for S2S3. The p-value associated with the Hosmer-Lemeshow Goodness of Fit test was 0.82 indicating that there is no evidence that the logistic model is inappropriate. Table 8 gives the parameter estimates, odds ratios, and p-values associated with each of the variables in this model. The odds for re-admittance for women were 0.41 times the odds for men (they were less for women). The odds of readmittance when using local anesthesia drug treatment S2S3 were 2.55 times more than the odds of readmittance using the other local anesthesia drug treatments. The observations associated with the treatments A1A2A3 (n = 3), A1A3 (n = 8), and A2A3 (n = 23) were deleted from the analysis due to small sample sizes. The only combination of anticoagulants left in the study was A1A2. We do not know what the duration of overlapping therapy was for these patients who were "bridged" between the two anticoagulants, but all the patients receiving this combination were combined into one group. The overlapping time and/or pattern could actually have varied among patients, and this could make a difference in the results. Further research needs to be done on the different "bridging" patterns . An ANOVA was performed testing for differences in hospital costs associated with each of the anticoagulant treatments while controlling for age group and gender. It was found that age group and gender were not significant and therefore were dropped from the model. Because of the possible violation of unequal variances of hospital costs associated with each of the different anticoagulant treatments, a natural logarithm transformation was conducted on hospital costs and a new ANOVA was formed based on this transformation. It was found that the different anticoagulants were significantly associated with hospital costs (or natural logarithm of hospital costs) (F-value (4,2018) = 12.9; p-value < 0.001). Tukey's multiple comparison procedure was conducted using both hospital cost and the natural logarithm of hospital cost associated with the different anticoagulants. Both gave similar results. The results are given in Table 10 for the untransformed data. The treatment A1A2 had the significantly highest hospital costs associated with it and treatment A3 was associated with the significantly lowest hospital costs. The estimated mean hospital cost difference between the two treatments was $1,868.50. Table 11 gives the description statistics for the mean natural log of the length of stay associated with each of the anticoagulant treatments with samples sizes of greater than 30. The untransformed sample mean length of stay for each of the treatments is given in parentheses below the mean of the natural log. As mentioned earlier, one patient had a length of stay of 54 days. This was a very unusual case and this observation was deleted from the analysis before any sample means or sample standard deviations were calculated. An ANOVA was conducted testing for differences in mean length of stay associated with the different anticoagulants while controlling for age group and gender. An ANOVA was also conducted using the transformed variable natural logarithm of length of stay in case the assumption of equal variances was violated on the actual length of stay data. The different anticoagulants were found to be significantly associated with length of stay after controlling for age group and gender (p-value < 0.0001). Tukey's multiple comparison procedure was performed using both the original data and the transformed data with similar results. The significant results in terms of the original data are given in Table 12. The anticoagulant treatment A1A2 was significantly associated with the longest length of stay. The control group A0 was significantly associated with the shortest length of stay. The estimated difference in mean lengths of stay associated with these two treatments was 1.16 days. A chi-square test was conducted to determine if one or more of the anticoagulants were associated with a higher proportion of early readmissions. The three anticoagulant treatments having sample sizes of less than 30 were not considered in this analysis. Pearson's chi-square test statistic was found to be 20.3685 with an associated p-value of 0.0004. Therefore there was a significant difference in proportions of early readmissions associated with at least one of the treatments. The associated chi-square table is found in Table 13. It is noted that the sample percentage of early readmissions associated with treatment A1A2, 8.94%, is much greater than the others. A logistic regression was conducted with the dependent variable being 1 if the patient was readmitted early and 0 otherwise. The indicator variables associated with the anticoagulants listed in Table 13 as well as the indicator variables for age group and gender were considered as possible independent variables in the model using a stepwise selection process. The indicator variable for A1A2 and the indicator variable for gender were the only two variables found to be significant by this stepwise selection process. Table 14 gives the estimated coefficients, odds ratios and p-values associated with these two variables. The odds that a patient given A1A2 being readmitted early to the hospital are 3.92 the odds of a patient given any of the other anticoagulants listed in Table 14 being readmitted early. The gender of the patient is controlled for in this model. An ANOVA was conducted comparing the mean hospital cost with those patients receiving the antifibrinolytic and those patients not receiving the drug while controlling for age group and gender. It was found that age group and gender were not significant and therefore, were taken out of the model. A two-sample t-test was conducted comparing hospital mean hospital costs and a 95% confidence interval was calculated for the mean difference. The sample means and sample standard deviations of the hospital costs for those patients receiving the antifibrinoytic and those not receiving the drug are given in Table 15 and the confidence interval for the mean difference is given in Table 16. The difference between the mean hospital costs of those receiving the drug and those not receiving the drug was $181.00, but this was not found to be a significant difference. The sample mean and sample standard deviation of the length of stays associated with patients given tranexamic acid and those not given tranexamic acid are found in Table 17. An ANOVA was performed testing for differences in mean length of stays between those patients given tranexamic acid and those not given the drug while controlling for age group and gender. A significant difference in length of stay was found at alpha equal to 0.05 with a 95% confidence interval giving those patients not receiving tranexamic acid staying on average between 0.43 and 0.59 more days in the hospital than those patients receiving the drug. A chi-square test was conducted to test for difference in proportions of early readmissions between those patients receiving tranexamic acid and those patients not receiving tranexamic acid. There were 1018 patients receiving tranexamic acid and 24 of those patients were readmitted early (2.36%). There were 1039 patients not receiving tranexamic acid and 34 of those patients were readmitted early (3.27%). There is no significant difference indicated in the proportions of early readmissions (p-value = 0.2101). A chi-square test was conducted to compare the proportion of patients receiving tranexamic acid needing a blood transfusion with the proportion of patients not receiving tranexamic acid needing a blood transfusion. Since the main purpose of using tranexamic acid in knee replacement arthroplasty is to prevent blood transfusions, we would expect a significantly lower proportion of patients receiving tranexamic acid needing a blood transfusion. In 1018 patients receiving tranexamic acid, 16 needed blood transfusions (1.57%). In the 1039 patients not receiving tranexamic acid, 113 needed blood transfusions (10.88%). The proportion of patients not receiving tranexamic acid needing a blood transfusion was significantly higher (p-value < 0.001). A logistic regression was also conducted with the dependent variable equal to 1 if a patient needed a blood transfusion and 0 if they did not. The indicator variables for age group, gender, and whether or not the patient received tranexamic acid were placed in the model. Parameter estimates for the variables, estimated odds ratios, and corresponding p-values are given in Table 18. It is noted that the odds of requiring a blood transfusion for patients receiving TA are 0.13 times the odds of requiring a blood transfusion for patients not receiving TA. Therefore, the odds of needing a blood transfusion decrease with the use of TA. The odds of requiring a blood transfusion for females is 2.17 times the odds of requiring a blood transfusion for males. The odds of requiring a blood transfusion for the older group were 1/0.37 or 2.70 times the odds of requiring a blood transfusion for the younger group. When considering all of the drug categories together, we wanted to see if the same drugs in each of the categories were still significant. An ordinary least squares regression was performed with the dependent variable being the natural logarithm of the hospital cost. The independent variables placed in the model included the indicator variables considered for the different local anesthesia drug treatments, different anticoagulant treatments, whether or not the patient received tranexamic acid ("1" = TA), age group indicator variable ("1" ≥ 65, the older group), and the gender indicator variable ("1" = M; "0" = F). The baseline treatments for the anticoagulants and anesthesia drugs were A0 and S0, respectively. Residual plots were examined and model assumptions appeared to be satisfied. Table 19 gives the parameter estimates for each of the variables, the variance inflation factors, and the p-values associated with tests for each variable to see if they are significant with the other variables in the model. Variables with corresponding p-values < 0.10 are designated with an asterisk. The relationships of the variables that were found when considering one drug category at a time were also found when all the drug categories were considered together. An ordinary least squares regression was conducted with the dependent variable being length of stay. The independent variables considered in the model in Section 6.2 were also put into this model. If the estimated coefficients associated with a variable were negative, then the length of stay was less than average length of stay for the considered baseline in the sample. If the estimated coefficients associated with a variable were positive, then the average length of stay for patients receiving this drug was higher than those of the baseline for the sample. The p-values associated with each variable are also given to determine if the difference is statistically significant when compared to the baseline. This model gave similar findings to the models which considered only one drug type at a time. After controlling for the other drug treatment types in the model, the drugs are ranked in the same ordering as when considering individual drug categories (Table 20). This can be seen by comparing the parameter estimates associated with each of the drugs in a drug category. A larger parameter estimate means that the drug is associated with a longer length of stay estimate, although it may not be significantly different. A logistic regression was conducted with the dependent variable set to 1 if the patient was readmitted to the hospital early and 0 otherwise. The same independent variables under consideration to be placed into the model that were considered in Sections 6.1 and 6.2. The Hosmer-Lemeshow Goodness-of-Fit test yielded an insignificant p-value, .9038, indicating that the model fit was adequate. Three variables were found to be significant as indicated by their p-values with all the variables in the model. The model with the parameter estimates is given in Table 21. If the parameter estimate is positive, this means that this drug was associated with a higher sample proportion of readmissions compared to the drug or category baseline. If the parameter estimate is negative, this means that this drug (or variable) was associated with a lower sample proportion of readmissions compared to the drug or category baseline (Table 21). The odds ratio estimates are given in Table 22. The same variables associated with early readmissions when considering the individual drug categories were found when all of the drug categories were considered together. The association found before when considering early readmissions was still found when controlling for the other drug categories. A logistic regression model was constructed with the dependent variable "Blood_Transfusion" (Event = 1) and all drug treatment indicators, age group indicator, and gender indicator as independent variables. After backward selection, the model chosen included the variables S2S3, A1, A1A2, TA, age group, and gender. The Hosmer-Lemeshow Goodness-of-Fit test yielded an insignificant p-value (0.38) indicating that the model fit was adequate. Table 23 gives the parameter estimates associated with each variable. If the parameter estimate is positive, this indicates that for the sample this drug or category was associated with a higher proportion of blood transfusions than compared to the baseline. The opposite was true if the parameter estimate was negative. The p-value associated with each variable is also given. In Section 5, it was mentioned that females and the older age group of patients are more likely to require a blood transfusion. The same findings are seen in Tables 23 and Table 24. Females are 2.182 times more likely to require a blood transfusion than males. A person in the younger group is 0.34 times as likely to require a blood transfusion as someone who is 65 or older (A person 65 and older is 1/.34 = 2.84 times more likely). It is also seen from Table 24 that patients given tranexamic acid are less likely to require a blood transfusion. This is the same finding as before in Section 5, but in this case, we have controlled for the other drug types given to patients. Anesthesia treatment, A0, and the treatment A1 is significantly associated with a lower probability of needing a blood transfusion when compared to the baseline anesthesia treatment, A0. The odds ratio estimates of needing a blood transfusion and associated confidence intervals for each of the variables are given in Table 24. Since observations on patients were taken from five different locations from a hospital system, we wanted to see if there was an association between drug treatments used and the location. Chi-square tests were conducted to determine if there was evidence of association between the locations and the local anesthesia drug treatments, and then the anticoagulants, and then the antibrinolytic. In all cases, there was significant association between the drug treatment used and location (p-value = 0.0001). Location was confounded in the drug treatments in each category. If a significant difference was found between the hospital costs of the anticoagulants, this could mean that it was because of the anticoagulants themselves, or it was possibly because of the location (with some locations doing additional procedures and incurring a higher cost that had nothing to do with the anticoagulants). We decided to isolate the location that was most varied across a particular drug category that had adequate sample sizes for a variety of treatments in this category. It turned out that one location stood out as far as having the largest variety of treatments with adequate sample sizes for several of the treatments across all of the drug categories. We will refer to this location as Location X. The total sample size for Location X was 1,035. The numbers of observations for each of the various categories of treatments given at Location X are given in Tables 25, Table 26 and Table 27. Tukey's multiple comparison test with alpha equal to 0.05 was performed comparing the average hospital costs, and then comparing the average length of stay among the various drug categories based on sample observations at Location X. Tables 28 and Table 29 give side-by-side comparisons of significant findings overall and then at Location X. Treatments found to be significantly different are designated with different Group letters. It is noted that local anesthesia drug treatment S2S3 was associated with the highest significant hospital cost for both the overall data set and the Location X data set. This indicates that the difference in hospital cost could be attributed to the drug and not the location. Anticoagulant treatment A1A2 was associated with a higher cost overall and also at Location X. One contradiction that was found is that at Location X those patients who received tranexamic acid were associated with higher costs while this was not true overall. Table 29 gives a side-by-side comparison of length of stay associated with each of the drug treatments at Location X and then overall. The anesthesia treatment associated with the longest length of stays overall and at Location X is S2S3. The anticoagulant associated with the longest length of stay is A1A2. Patients who received tranexamic acid at both Location X and overall were associated with a significantly shorter length of stay. The drugs associated with the highest proportions of early readmissions at both Location X and overall were the same. These are given in Table 30. The drugs associated with the highest proportions of blood transfusions differ a little between Location X and overall. In both cases, S2S3 is associated with a higher proportion of blood transfusions. The drug A1A2 is associated with a higher level of blood transfusions overall, but the drug S1S2 is associated with a higher level of blood transfusions at location X (Table 31). The least favorable local anesthesia drug treatment appears to be S2S3 (Lidocaine, Ropivacaine). This treatment is associated with the highest hospital cost, the longest length of stay, the most likely to have an early readmission, and the most likely to require a blood transfusion. There is not one clear most favorable local anesthesia drug treatment however, the treatments S1S2S3 (Bupivacaine, Lidocaine, Ropivacaine) and S1S2 (Bupivacaine, Lidocaine), are consistently associated with the lowest hospital costs and shortest lengths of stay, while not being associated with a significantly higher proportions of early readmissions or higher proportions of blood transfusions. A1A2 (Warfarin, Enoxaparin) appears to be the least favorable anticoagulant treatment in this study. It is associated with the highest hospital cost, the longest length of stay, and a higher proportion of early readmissions. More research however is needed in this case. Patterns of bridging the two anticoagulants need to be studied further. The exact patterns were not known in this study and all patients given both of these anticoagulants were combined together. There is not a clear best anticoagulant treatment. It does appear from this study that just one anticoagulant performs better than a combination of anticoagulants (again, further study is needed here). A1 (Warfarin), A2 (Enoxaparin), and A3 (Rivaroxaban), are associated with the lowest hospital costs, shortest lengths of stay, and are associated with lower probabilities of requiring blood transfusions than the other anticoagulant treatments. Tranexamic acid is associated with a significantly shorter hospital stay with no significant increase in hospital costs when considering all locations. It also is associated with a significant lower proportion of patients requiring blood transfusions while not having a significant increase in proportion of patients that are readmitted early. This study also found that women have a significantly longer hospital stay than men, but they also have a significantly lower proportion of early readmissions than men. It was also found that women have higher odds at requiring a blood transfusion than men. When comparing age groups, it was found that the older age group (65 and older), had significantly higher odds of being readmitted to the hospital early than those younger than 65. It was also found that the older age group had significantly higher odds than the younger age group of requiring a blood transfusion. Fawzi Natalie, George Krucik (2012) Knee Replacement Statistics Infographic. Knee Replacement Statistics. Kurtz S, K Ong, E Lau, F Mowat, M Halpern (2007) Projections of Primary and Revision Hip and Knee Arthroplasty in the United States from 2005 to 2030. J Bone Joint Surg Am 89: 780-785. Liou Louis S (2013) Spinal and Epidural Anesthesia. U.S National Library of Medicine. Foran Jared RH (2011) Total Knee Replacement. Total Knee Replacement-OrthoInfo - AAOS. Warwick D (2012) Prevention of Venous Thromboembolism in Total Knee and Hip Replacement. Circulation 125: 2151-2155. Sepah Yasir J, Masood Umer, Tashfeen Ahmad, Faria Nasim, Muhammad Umer Chaudhry, et al. (2011) Use of Tranexamic Acid Is a Cost Effective Method in Preventing Blood Loss during and after Total Knee Replacement. J Orthop Surg Res 6: 22. Ng HP, Nordström U, Axelsson K, Perniola AD, Gustav E, et al. (2006) Efficacy of intra-articular bupivacaine, ropivacaine, or a combination of ropivacaine, morphine, and ketorolac on postoperative pain relief after ambulatory arthroscopic knee surgery: a randomized double-blind study. Reg Anesth Pain Med 31: 26-33. Cuvillon P, Nouvellon E, Ripart J, Boyer JC, Dehour L, et al. (2009) A comparison of the harmacodynamics and pharmacokinetics of bupivacaine, ropivacaine (with epinephrine) and their equal volume mixtures with lidocaine used for femoral and sciatic nerve blocks: a double-blind randomized study. Anesth Analg 108: 641-649. Colwell CW Jr, Collis DK, Paulson R, McCutchen JW, Bigler GT, et al. (1999) Comparison of enoxaparin and warfarin for the prevention of venous thromboembolic disease after total hip arthroplasty. Evaluation during hospitalization and three months after discharge. J Bone Joint Surg Am 81: 932-940. Gómez-Outes A, Terleira-Fernández AI, Suárez-Gea ML, Vargas-Castrillón E (2012) Dabigatran, rivaroxaban, or apixaban versus enoxaparin for thromboprophylaxis after total hip or knee replacement: systematic review, meta-analysis, and indirect treatment comparisons. BMJ 344: e3675. Blair Clifford, Taylor Richard (2008) Biostatistics for the Health Sciences. Pearson Prentice Hall, New Jersey. Fleiss Joseph (1986) The Design and Analysis of Clinical Experiments. John Wiley & Sons, New York. Montgomery Douglas C (2013) Comparing Pairs of Treatment Means. In: Design and Analysis of Experiments. (8th edn), John Wiley & Sons. Pagano Marcello, Gauvreau Kimberlee (2000) Principles of Biostatistics. (2nd edn), Duxbury Press. Hosmer David, Lemeshow, Stanley (2000) Applied Logistic Regression. (2nd edn) John Wiley & Sons. Kleinbaum David, Kupper Lawrence, Muller Keith, Nizam Azhar (1998) Applied Regression Analysis and Multivariable Methods. (3rd edn), Duxbury Press. Sengupta Nishan, Supina Dylan, Wang Li, Baser Onur (2011) Anticoagulation Prophylaxis Practice Patterns in Patients Having Total Hip, Total Knee Replacement in a US Health Plan.